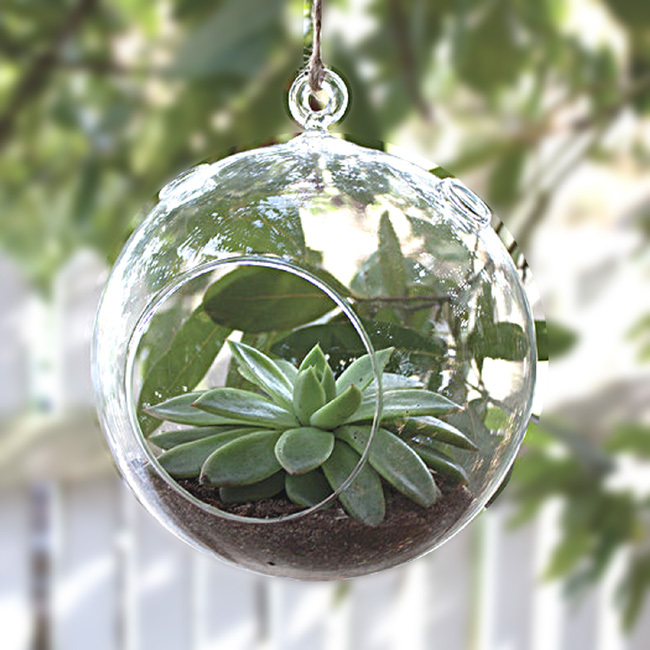 Hanging Terrarium or Bud Vase is clear glass. 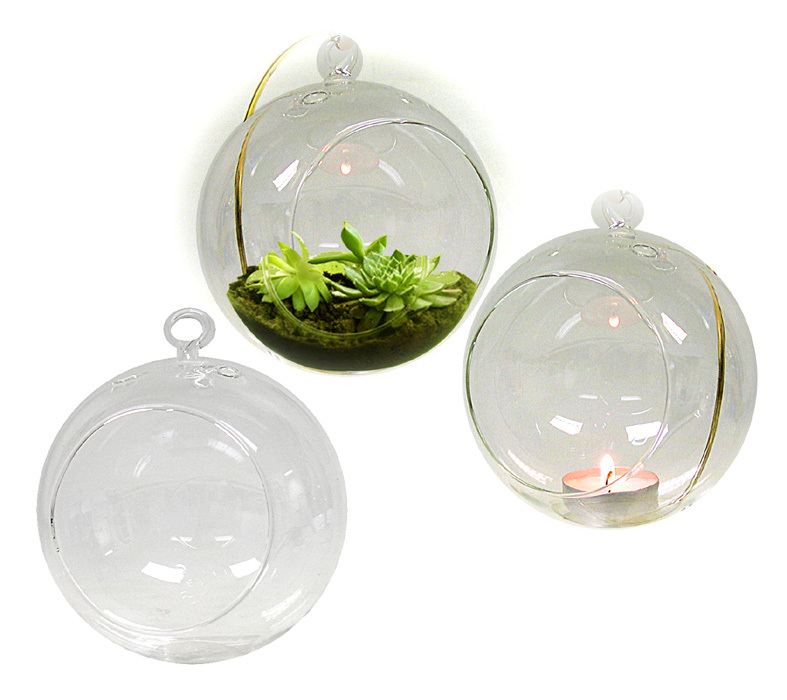 Terrarium is 4-1/2" round with glass hanger loop. It has 3 flower bud openings at the top and a 3" round side opening for plantings, etc. 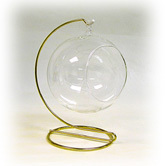 Sizes are approximate because pieces are hand blown. Individually boxed. Available with or without Display Stands. Note: To see other Display Stands not shown here Click on Links at bottom of page to learn more. 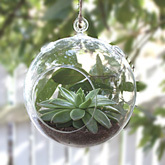 A) Hanging Glass Terrarium is 4-1/2" round. Has 3" side opening and 3 flower bud openings on top. Built-in hanging loop. 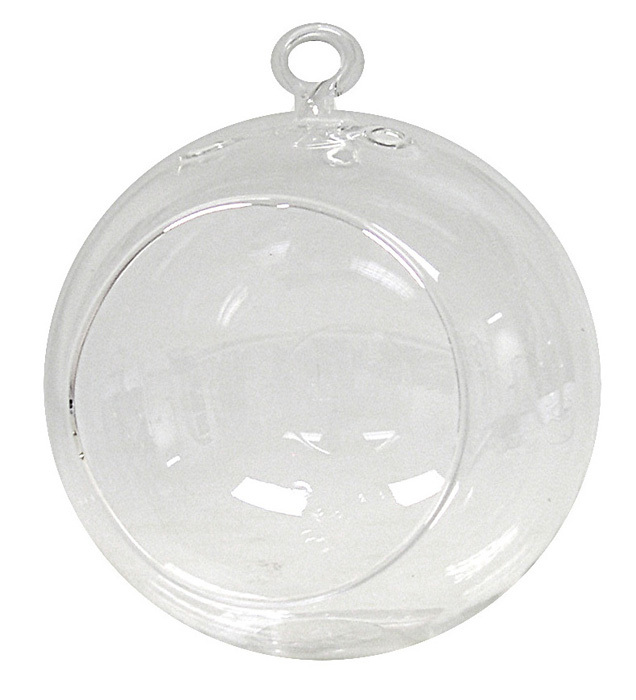 Hand blown clear glass. 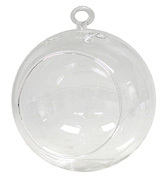 Terrarium has round bottom. Can be used indoors or out. Individually boxed. 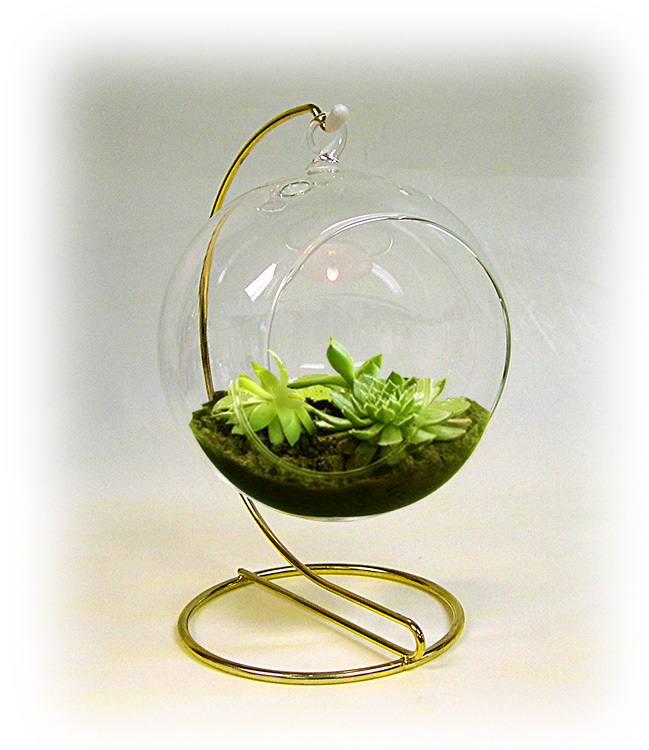 B) Terrarium with bright brass finish metal Display Stand that is 7" Tall. 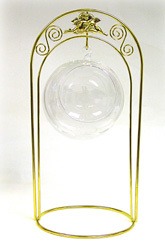 C) Terrarium with bright brass finish metal Fancy Display Stand that is 12-1/4" Tall. 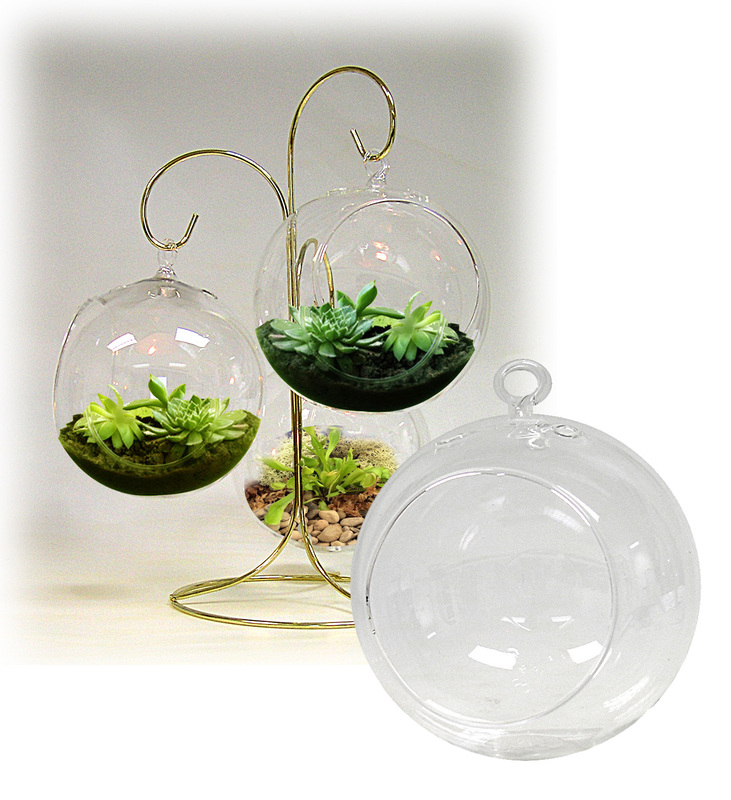 D) 3 Terrariums with bright brass finish metal 3-Hook Display Stand that is 11" Tall.